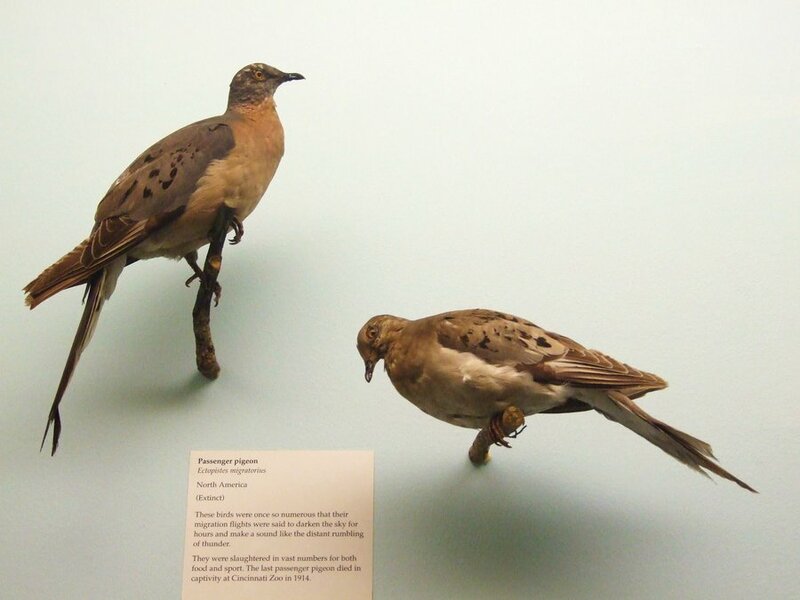 The Passenger Pigeon – also known as Ectopistes migratorius – is an extinct bird which was endemic to North America. 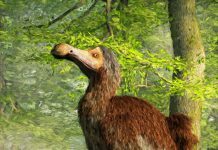 At one point in time, billions of these birds lived and flew over North America. However, deforestation and massive hunting reduced their numbers from the billions all the way to extinction in only a few years. 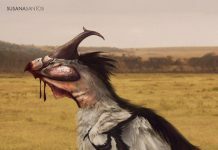 It is probably one of the largest extinctions caused by mankind. 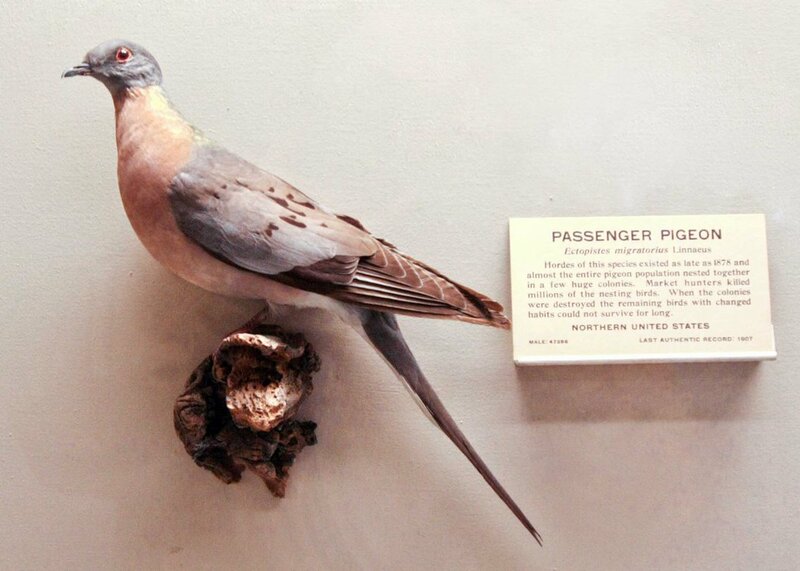 Passenger Pigeon pictures often show these birds as they once were. 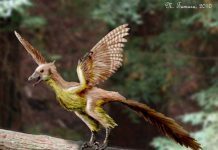 The males were mainly gray, with bronze feathers on the neck and darker spots on the wings and they were about 16.5 inches tall; the females were more of a brownish gray color with cinnamon-rose covered breast feathers and were an inch shorter, coming in at just 15.5 inches tall. One thing you can’t tell from pictures of this bird, however, was just how fast it was. 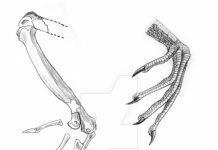 These birds could fly as fast as 60 miles per hour. That’s as fast as a hare or a gazelle runs. It must have been an impressive sight-seeing millions or billions of these birds flying at high speeds overhead. 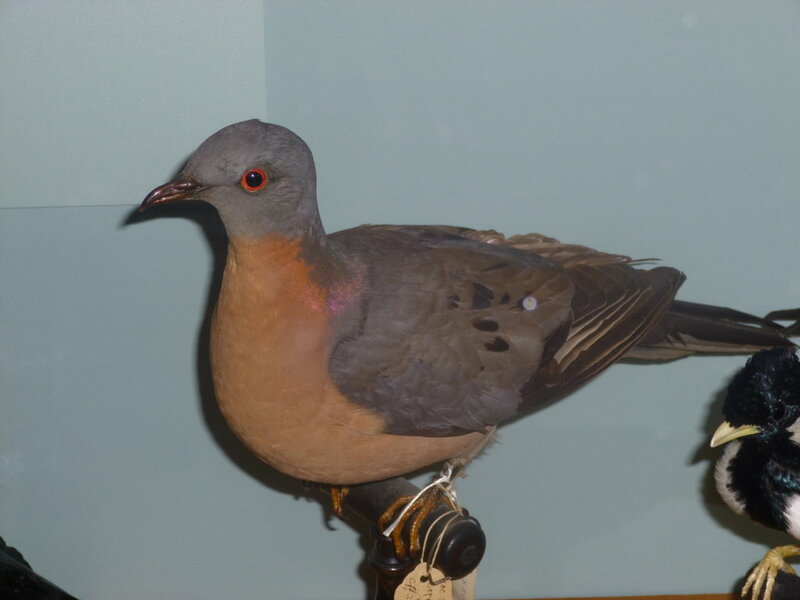 Passenger Pigeons lived from Ontario, Quebec over to Nova Scotia and south all the way to Texas and Florida. They were so numerous at one time, that in 1605, Samuel de Champlain reported “countless numbers” and Cotton Mather wrote in the 18th century that he saw a flock that was a mile wide and took hours to pass. 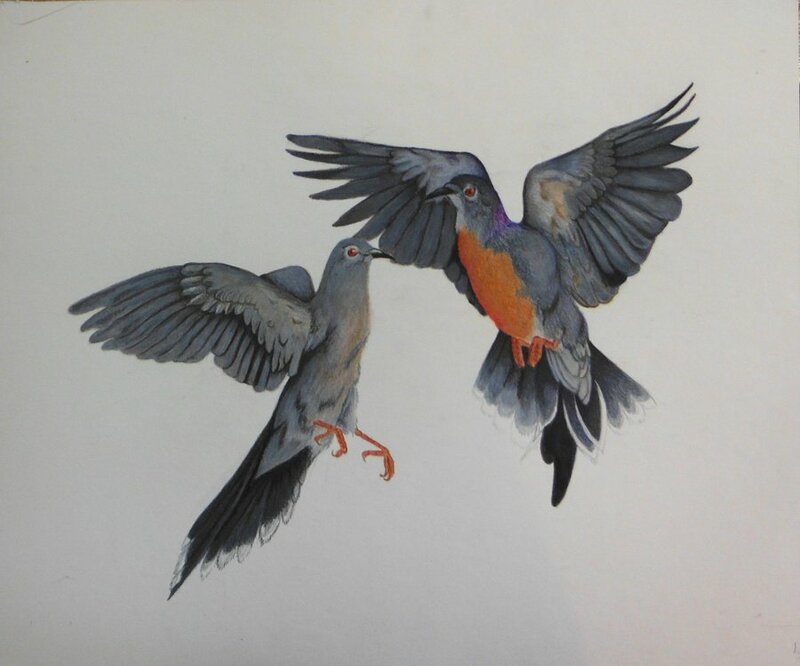 Another observer in Kentucky noted that when a flock of Passenger Pigeons flew overhead it blocked out the sun for 3 days. 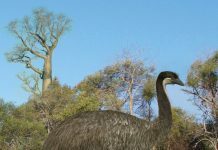 However, this changed quickly due to deforestation destroying their nesting grounds and the massive hunting of these birds for food. 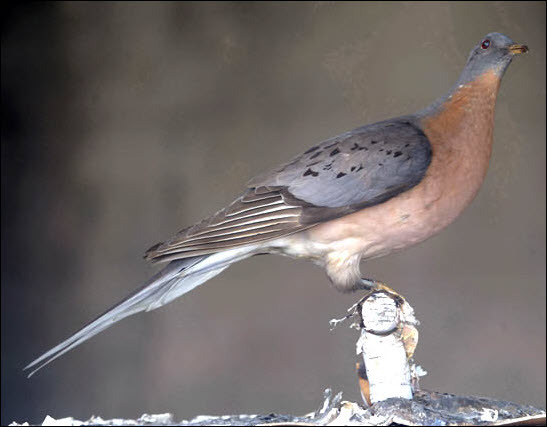 While Native Americans did occasionally eat passenger pigeons, most of the heavy hunting was done by colonists to the New World. They were hunted so heavily, the last one died in a Cincinnati Zoo in 1914. 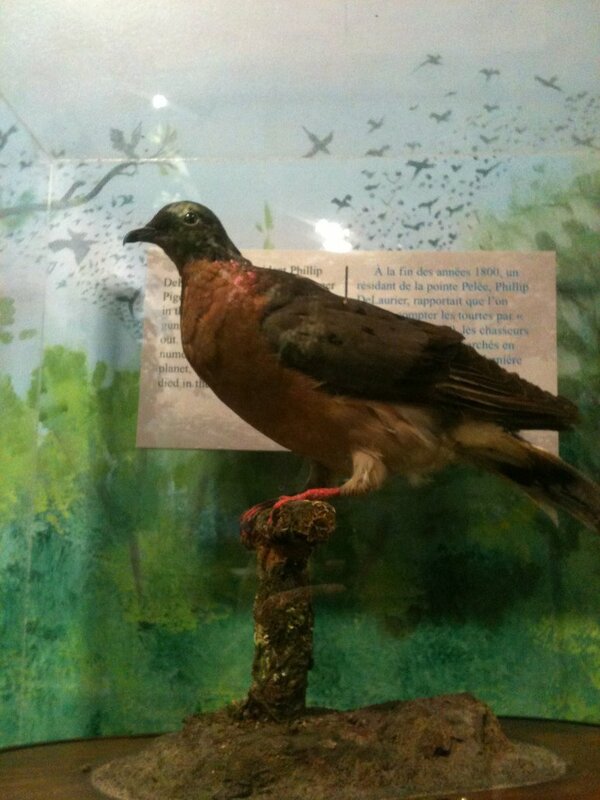 This pigeon’s name was Martha and a memorial is currently set up at the zoo in her honor. 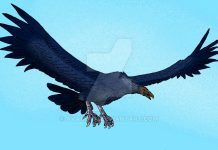 In the thick forests of the United States and Canada, millions of these birds would nest. In fact, one naturalist estimated that a thousand mile area of Wisconsin forest accommodated approximately 100 million birds. Each of these nesting females would nest one egg at a time, which is unusual as most birds usually nest several eggs at a time. 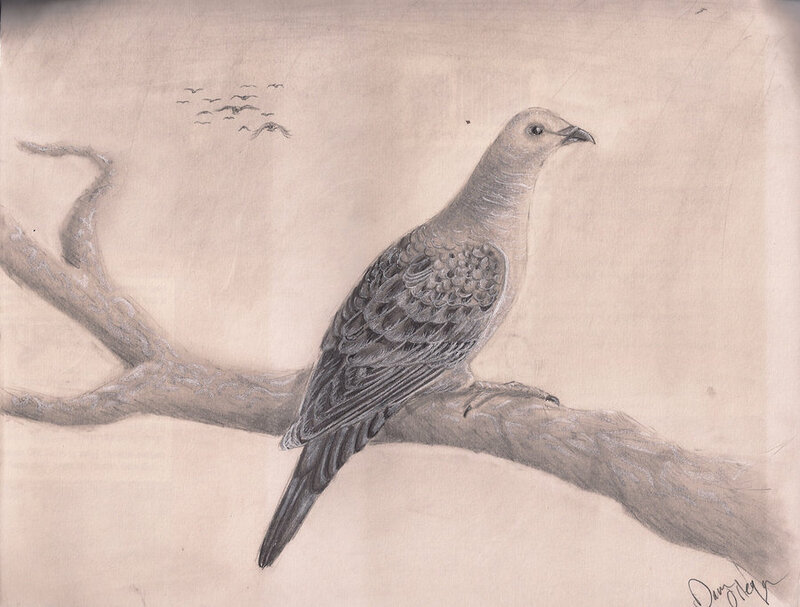 One of the interesting facts about passenger pigeons is that the hunting of these birds led to the creation of the word “stool pigeon,” a word that is often used to describe someone who is a police informer. That’s because hunters would take a passenger pigeon (one that had been bound and blinded) to a stool, then drop it to the ground. 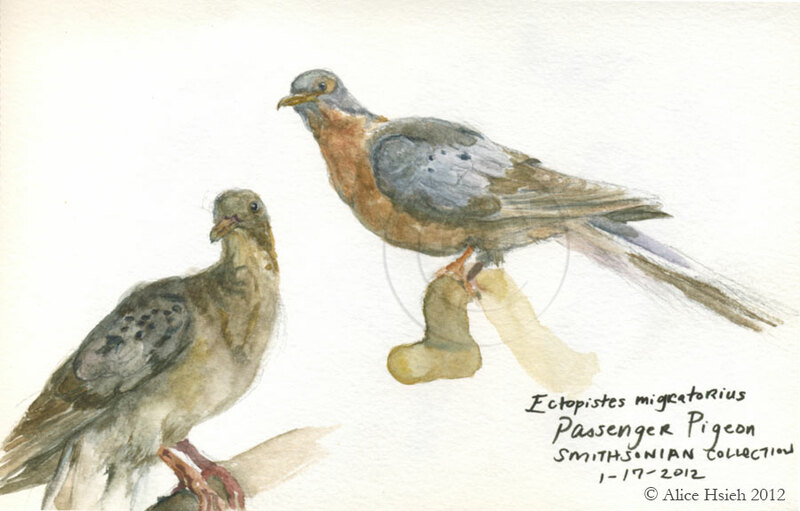 All of the other passenger pigeons would see the “stool pigeon” descending and think it was safe to land. When the rest of the flock landed, the hunters could then catch them in nets.